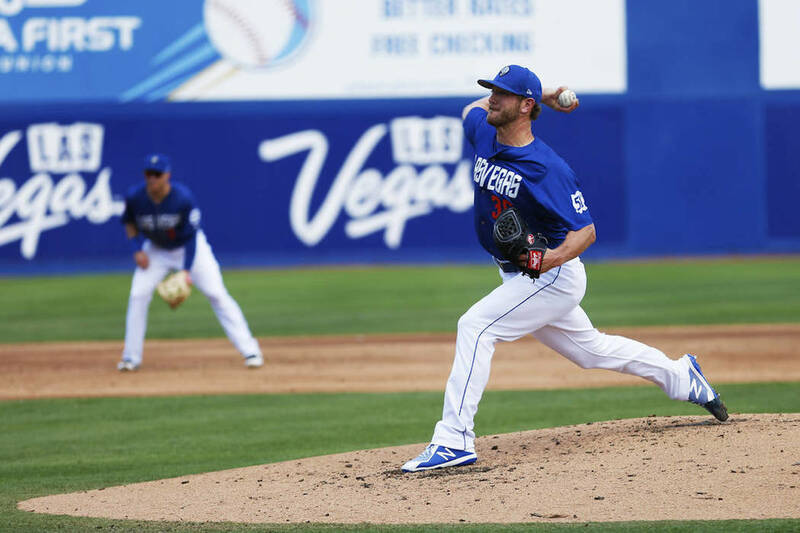 Peter Alonso, Zach Borenstein, Drew Gagnon, Jeremy Accardo, Jeff Glenn and Colton Plaia were honored before the 51s’ game Friday night at Cashman Field. The 51s announced their season awards Friday afternoon and will honor the winners Friday night on the field. First baseman Peter Alonso was voted the Mayor’s Trophy winner by fans. Alonso, the Mets’ No. 2 prospect per MLBPipeline, joined the team in June after putting up big numbers in Double-A Binghamton to start the season. He has a slashline of .246/.348/.550 with Las Vegas and had 18 home runs and 61 RBIs in 63 games heading into Friday. On the season combined, he has driven in 113 runs and hit 33 home runs, becoming the first minor leaguer to hit the 100-RBIs mark. Zach Borenstein was named the team’s Most Valuable Player as voted on by coaches. 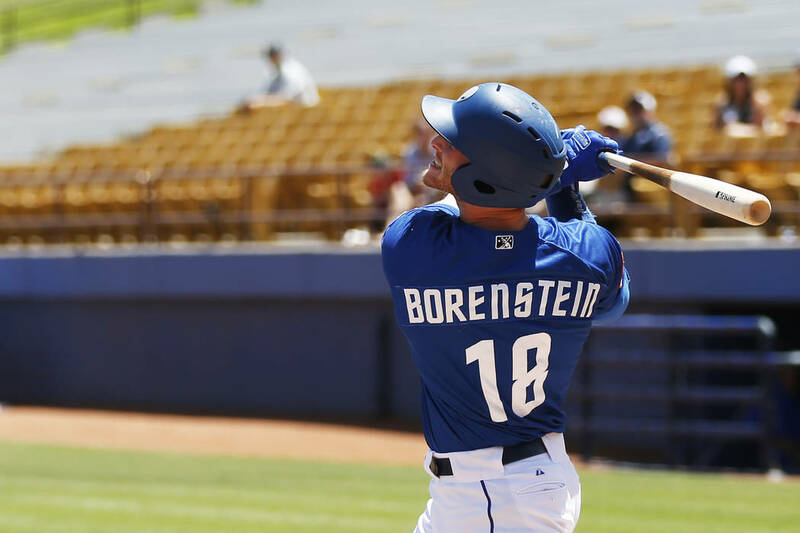 Borenstein has been with the 51s all season and was the team’s All-Star representative in July. 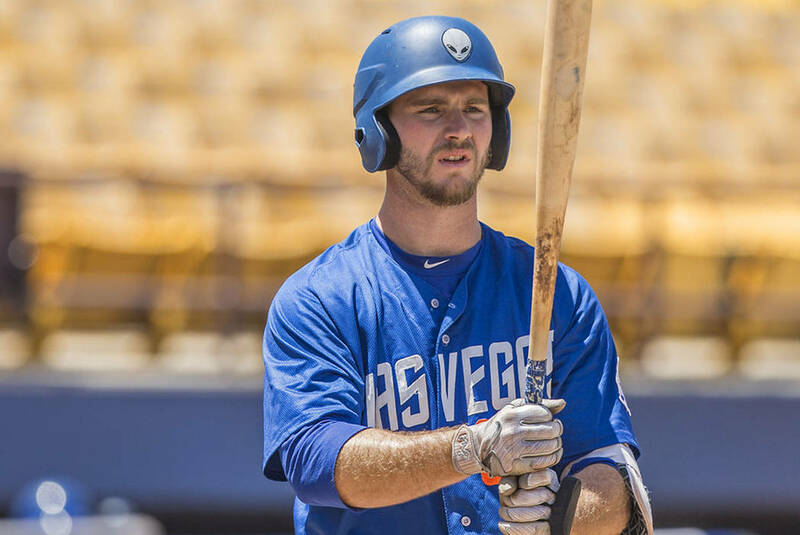 The outfielder led the 51s in home runs (24) and RBIs (86), among other categories. Drew Gagnon was named the team’s Most Valuable Pitcher by the coaching staff. Gagnon, who threw a two-hit shutout in his last start, has a 4.74 ERA in 26 starts with the 51s. Gagnon leads the Pacific Coast League with 163 strikeouts. Bullpen coach Jeremy Accardo and catchers Colton Plaia and Jeff Glenn were given the Community Service Award by the 51s’ front office.